Our experienced attic insulation specialists know how to properly insulate an unheated attic without blocking vents. Attics also have gaps that must be filled with the right type of insulation, especially for the areas where pipes, ducts, and wires come into the attic through the floor. These areas can easily escape attention, so it’s important that the right type of attic insulation materials are installed in these areas. High utility bills and rooms that are too hot in the summer and too cold in the winter are just a few signs that your attic may not be properly insulated. Upgrading attic insulation is a simple, cost-effective way to improve comfort. Having adequate attic insulation can also cut heating and cooling costs by as much as 40 percent. 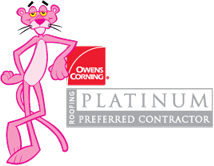 Call us today and find out more about our insulation services.